Here she became frustrated because she couldn't visualize beyond this stage, what the phone would look like and, therefore, how to make it. 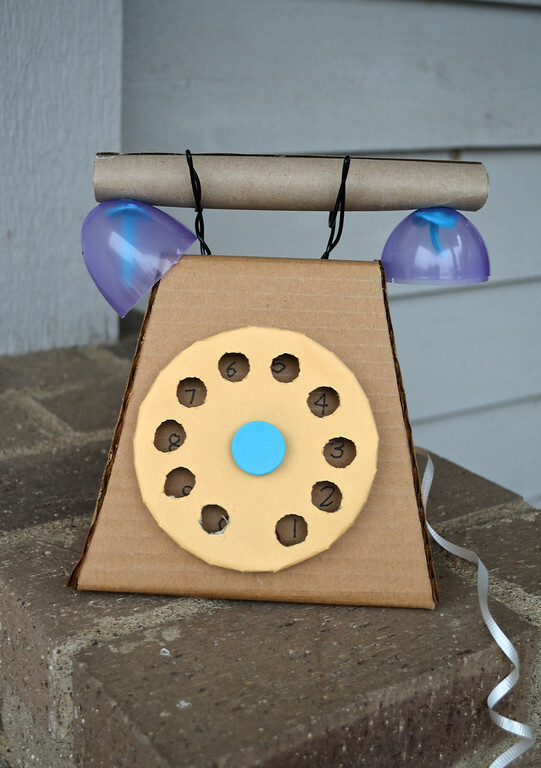 I typically like to leave the kids to their own making unless they invite me to interfere, because I know I can be very annoying with cardboard, what with my hoarding and being possessive and not sharing and behaving badly in general. 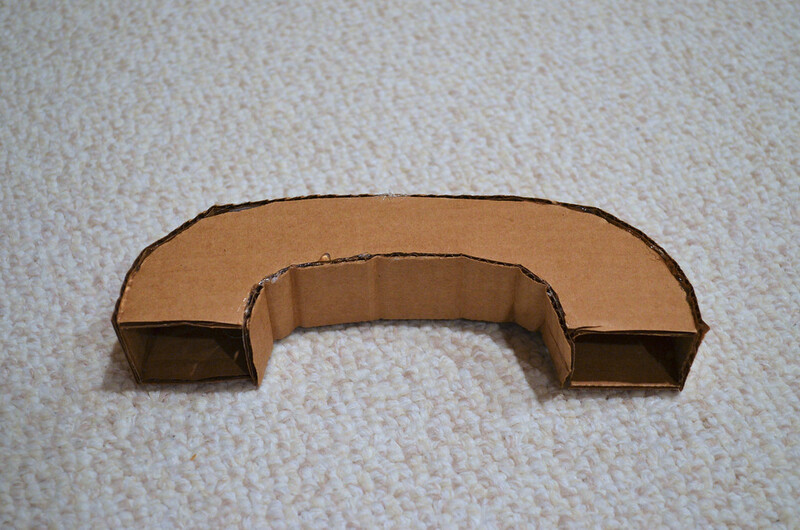 But here was Emily in a cardboard funk, so I came to help. "Show me your sketch." I said. "I don't have one." She said. Well, now we knew what went wrong. 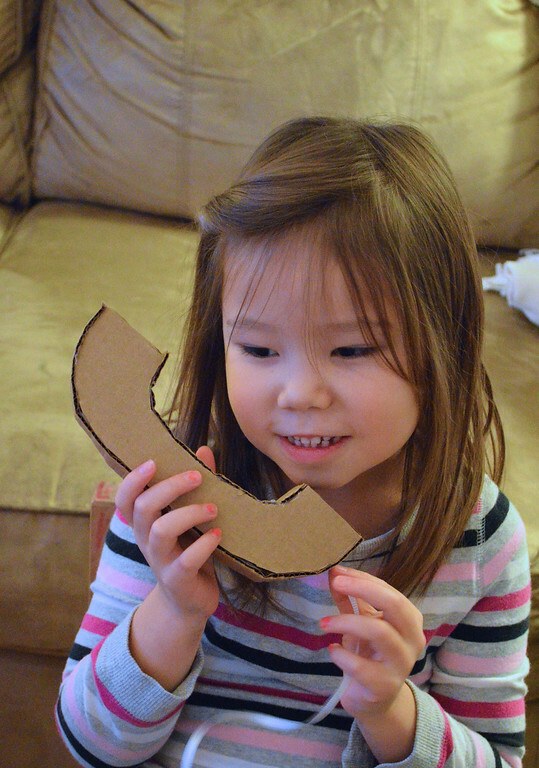 I thought she (and the other two girls) would enjoy playing with a rotary-dial type phone, so we sketched one out, and made that instead. I did most of the making, because Emily was so tired of the phone idea that she drifted off to make a computer (scroll down for photo) instead. But she checked back every now and again and helped a little bit. To the engineers who are reading this: apart from some light natural damping caused by friction, the oscillations are not damped at all. So the dial swings like a pendulum to rest. It did make me sigh slightly, but well, the kids don't care, so I let it go. 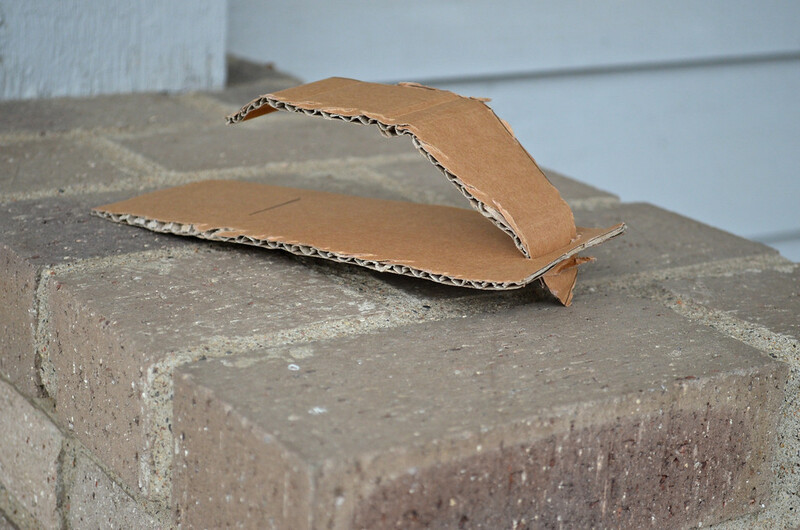 I didn't take a photo of all the materials because I don't work that way with cardboard. I start out with half an idea in my head, and more ideas (and thus more materials) come to me as I assemble my structures. So read through the whole tutorial before you begin, and make your own list of materials. Here is the layout for the phone body. 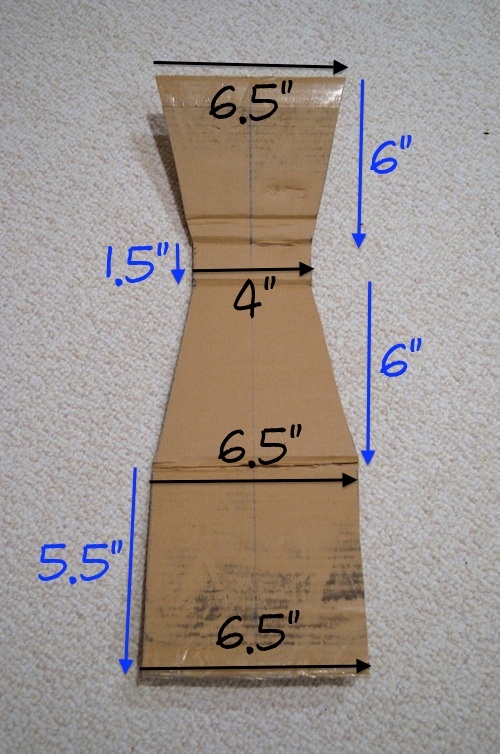 The vertical blue line down the center is to help you make your measurements symmetrical. If you have never made a shape like this before, just draw a vertical line like mine, halve all the black numbers (so 6.5 becomes 3.25, for instance), and measure those distances on either side of the vertical line, see? Obviously you don't have to follow these numbers. They are just what I used to make a phone body that was a good size for the dial. 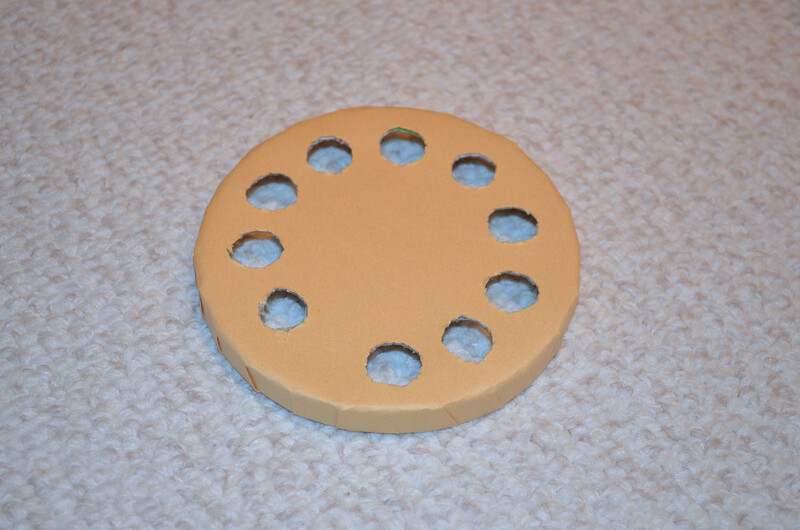 The dial is a standard round cheese box cover. I only used the cover. 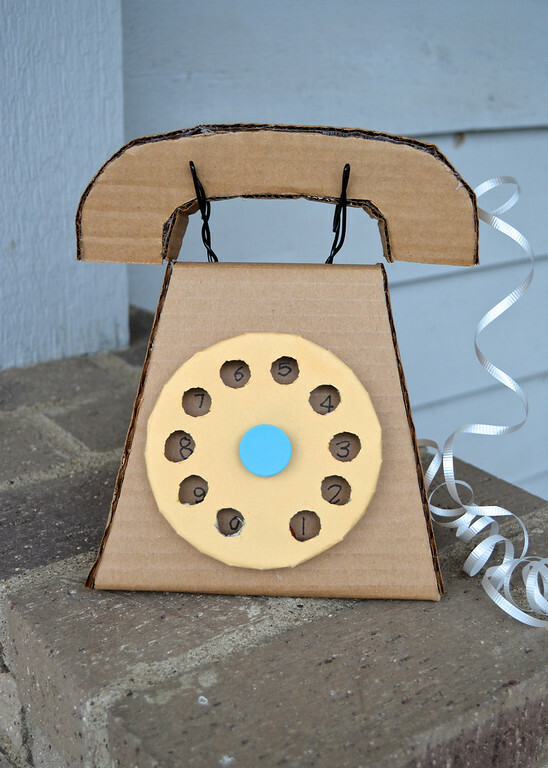 I didn't want the phone dial to be a cheese advert, so I covered it with some construction paper. And then I cut ten small holes in it, with my craft knife. 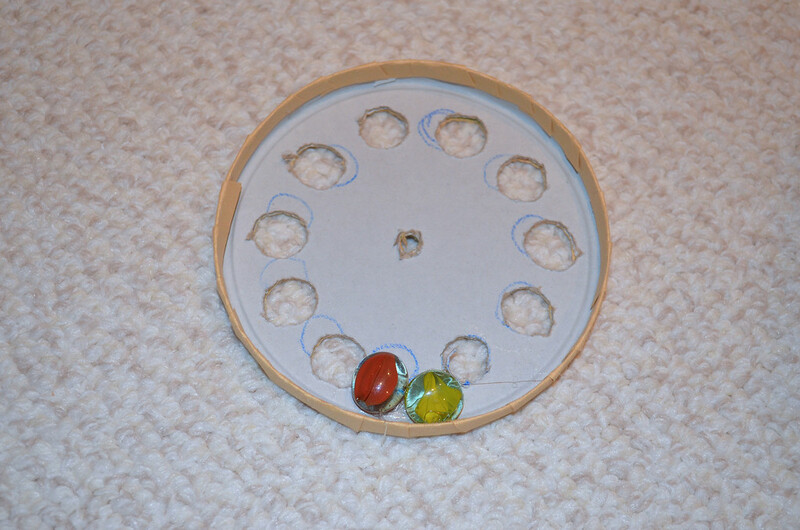 I left a biggish gap between the first and last hole, so I could weight the dial (see next photo). for attaching the dial to the phone body. 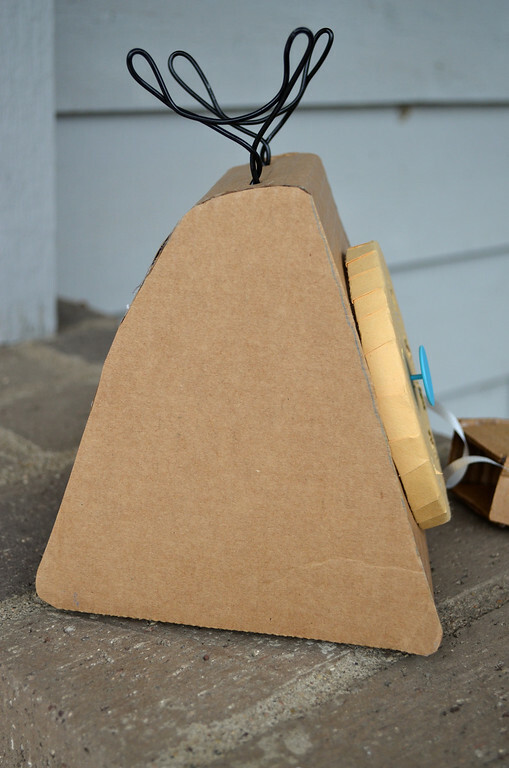 I used one of Makedo's fasteners rather than a paper fastener because it has a longer stem. You could also use a bolt and nut. 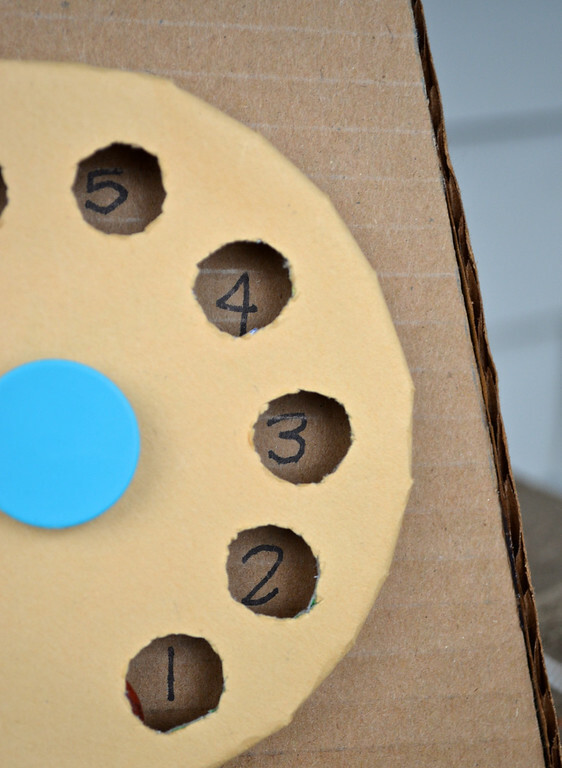 I found that adding a cardboard washer (little cardboard circle with a hole poked in the middle) behind the dial, kept the dial away from the phone body, and moving freely. 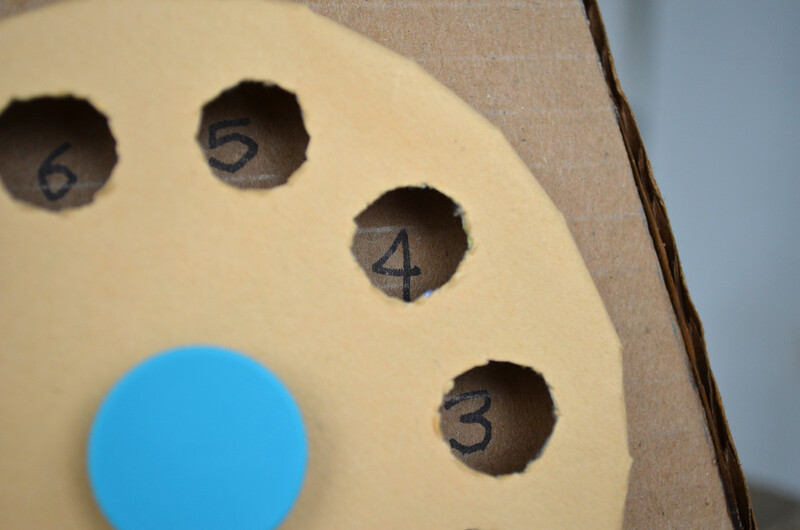 Then you stick the nib of a marker into each hole and write the numbers. My numbers are not quite in the right configuration for a rotary dial phone, and I left out the stop-guard thingy that prevents the dial from going all the way around, but we needed to leave the gap between "1" and "0" at the 6 o'clock position for the size of the weights we had in the house. 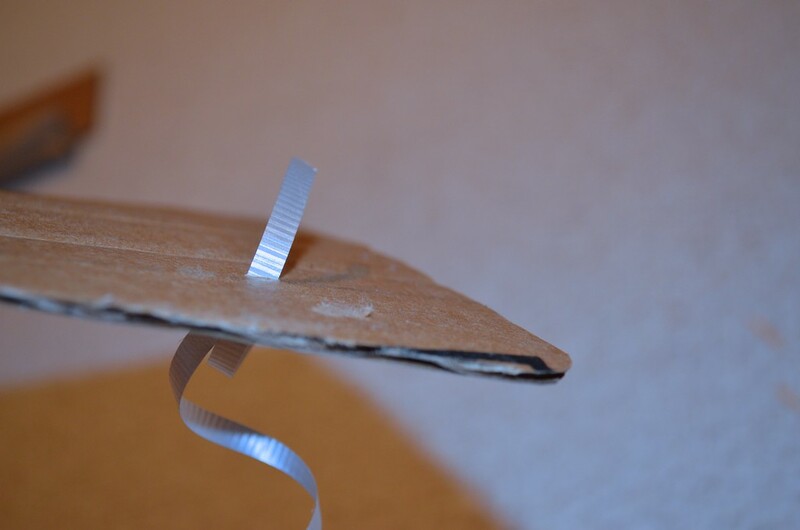 Then I made a second one and stuck them both in the top of the phone body, separating the ends of the wires under the cardboard, like a paper fastener. 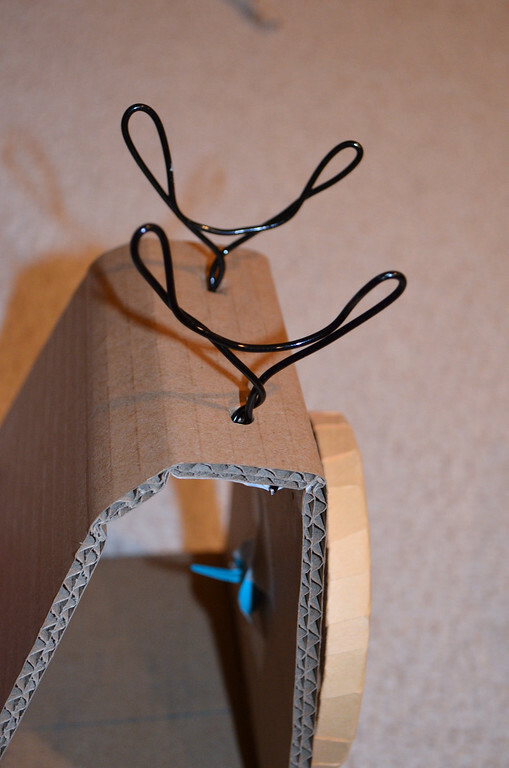 To keep the wire structures in place, I masking-taped down their ends on the other side of the cardboard. Here's another angle, from which you can also see how the dial is not actually touching the surface of the phone body. 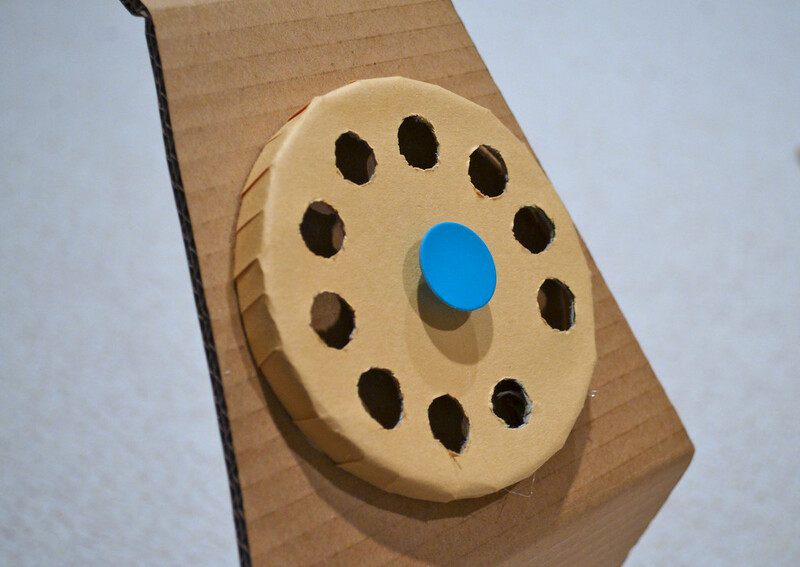 To make the sides of the phone body, just lay the phone body on its side on more cardboard and trace around it. 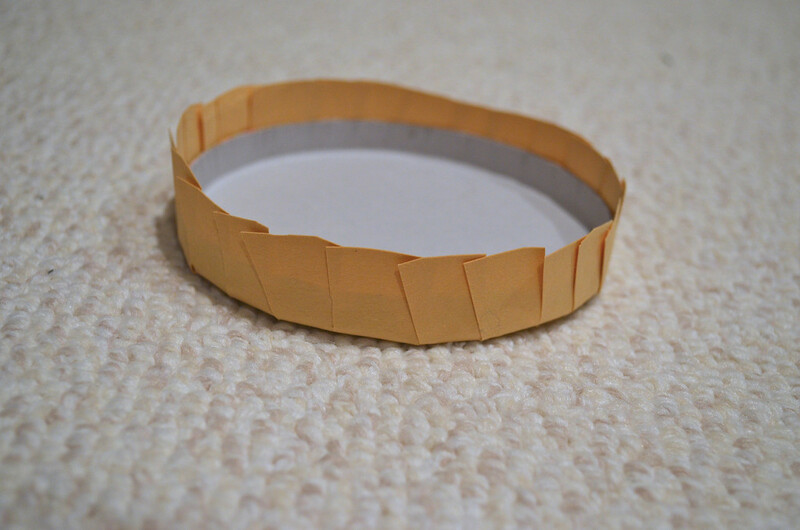 Before you glue the sides on, make a slit in one of them and stick the end of a bit of curling tape through it from the outside. 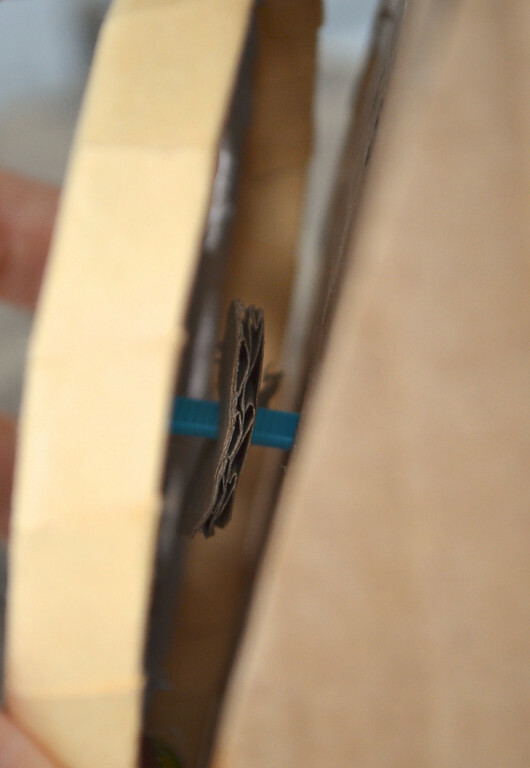 Tape that end down on the inside (i.e. so it is inside the phone body when the side piece is glued on). 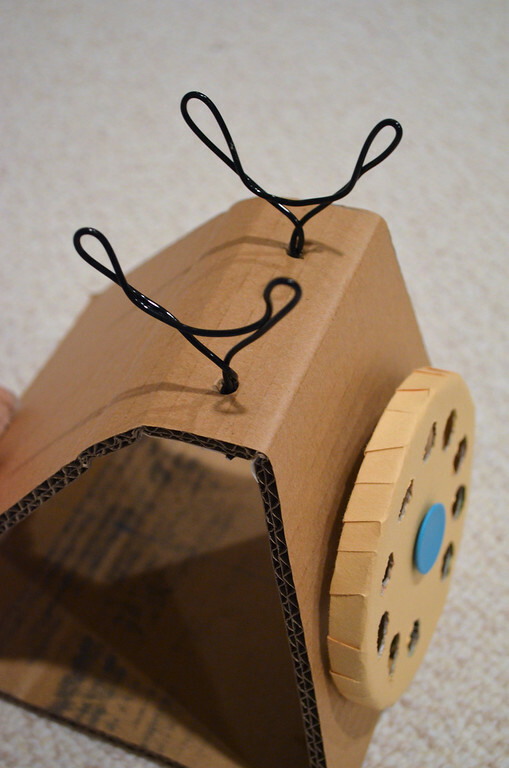 Then the two sides were glued onto the phone body to complete it. Here is the receiver. 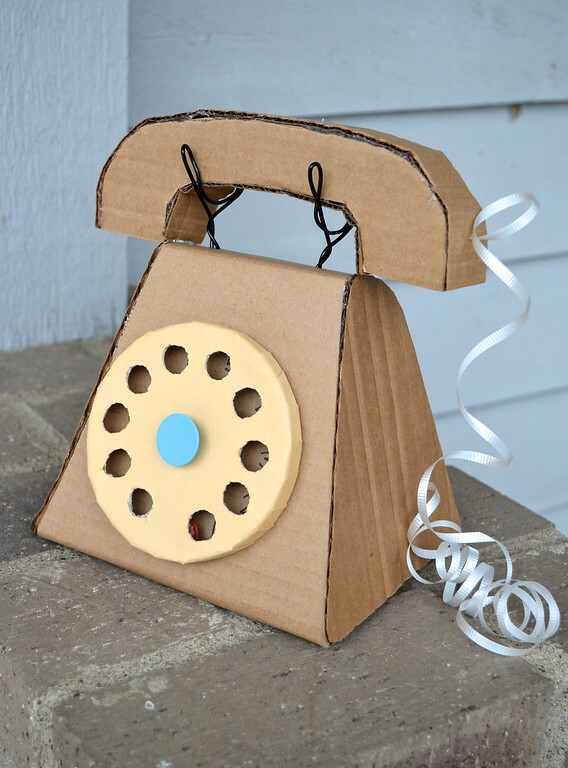 I made it entirely out of cardboard because anything made entirely out of cardboard is lovely. I won't describe the process - you can tell by looking at it, how it was made. I left it hollow and didn't seal the ends because it is so much fun to talk into the mouthpiece and and hear your own echoey voice in the earpiece! The kids loved it. 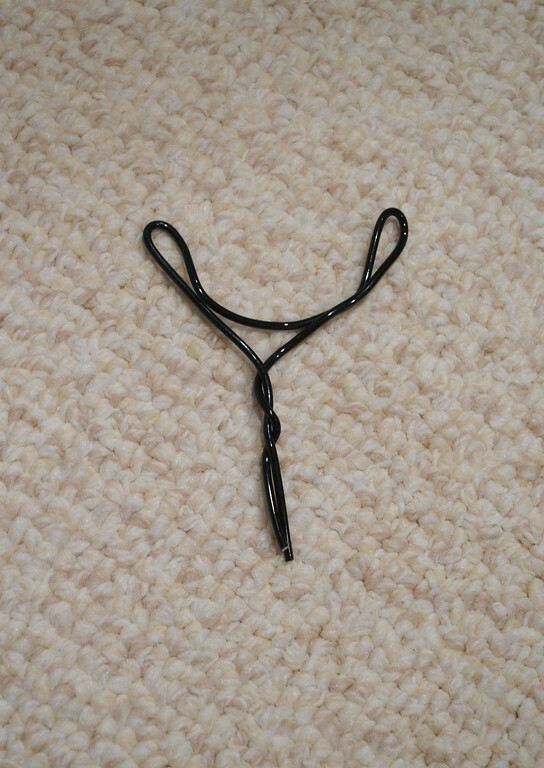 Make a slit in one end and insert the other end of the curling wire into it, taping the end down inside the receiver. 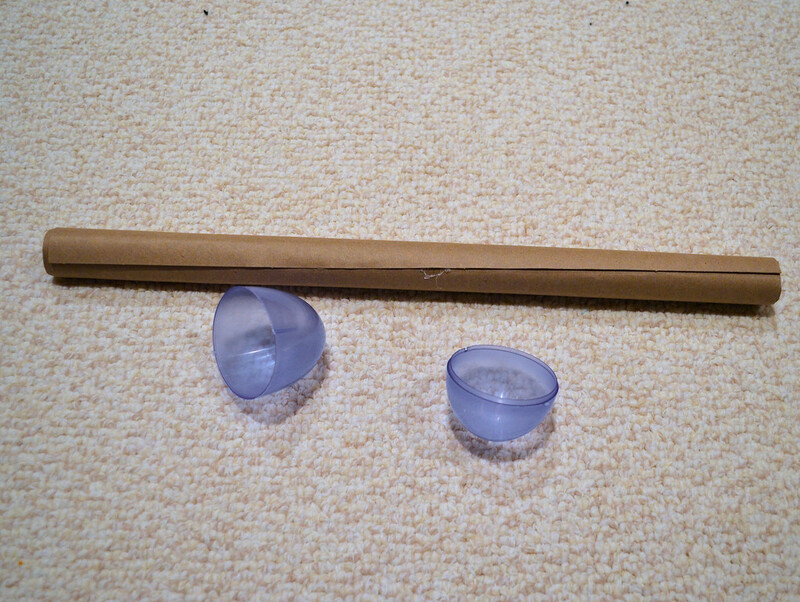 Use a narrow cardboard tube - not a paper towel roll, which is too wide. Mine was about 1" wide. 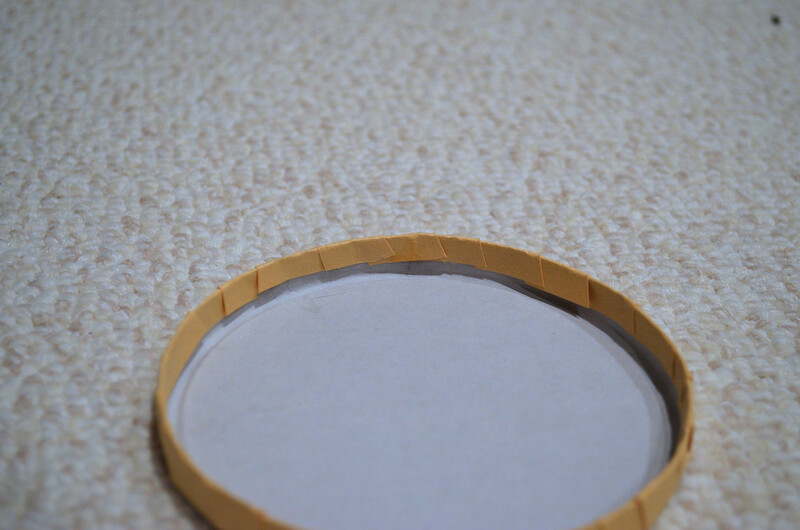 If you can't find a narrow tube, roll up thick paper in several layers to make a stiff tube. 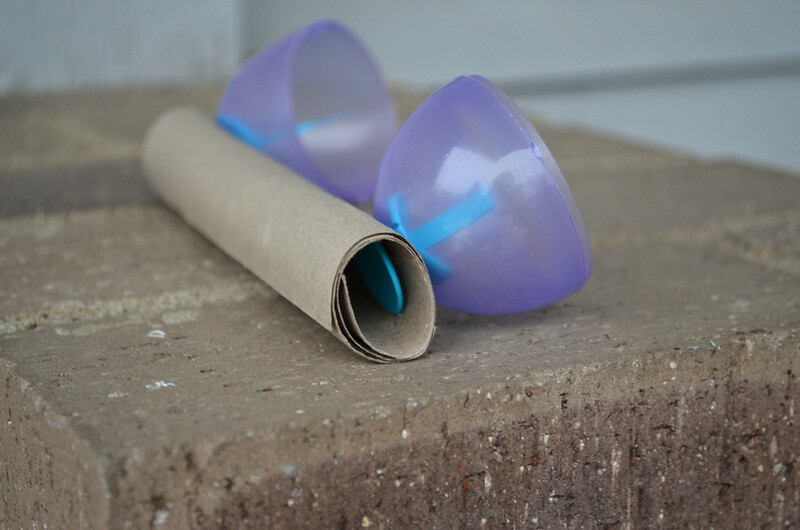 I also used both halves of one of those plastic easter eggs that everyone has in their house. Here is Jenna doing QC on Emily's office set, or at least part of it. The desktop computer is made from a graham cracker box speared through with a paper towel tube, and with dry-erase-board contact paper stuck on for a screen for writing on. 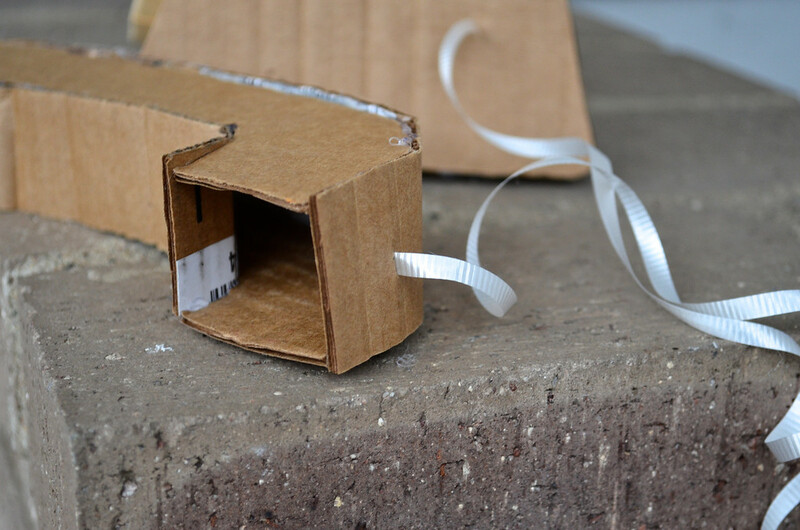 Tomorrow (or whenever) I'll share photos of an actual Christmassy craft we did! This is wonderful! 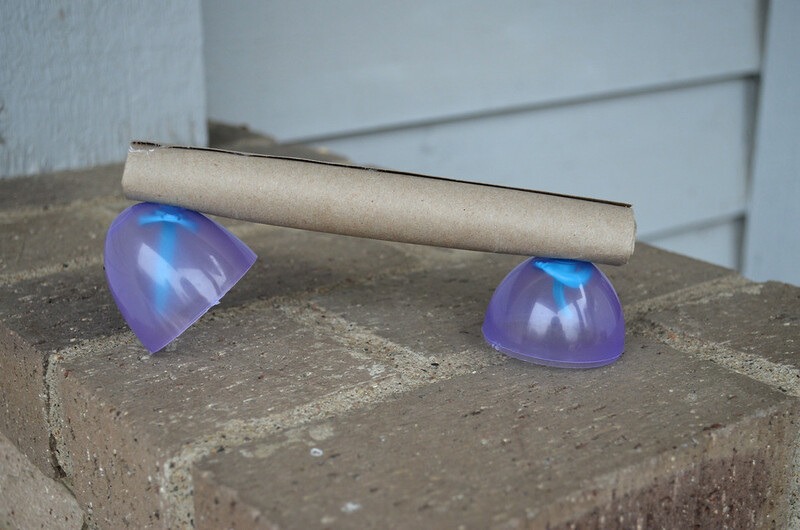 I never would have thought to use marbles as weights like this! 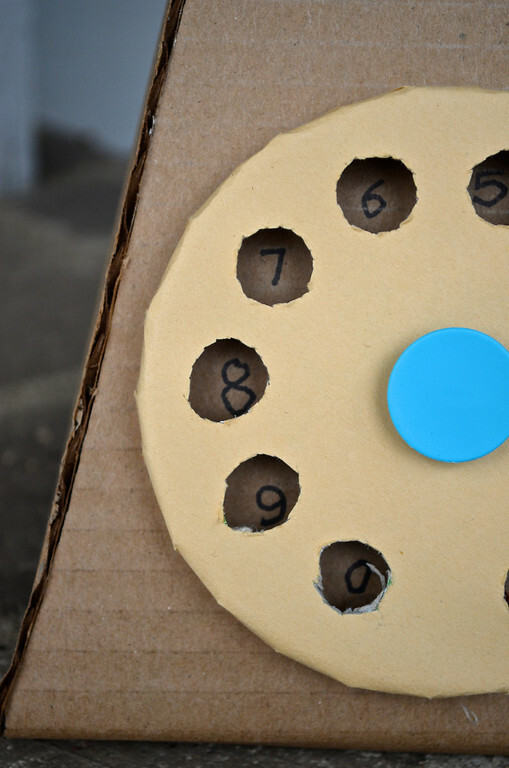 I have a secret desire to get my hands on a real rotary dial phone someday. They are so much more fun than the modern ones. So cute... my son is requesting an office from Santa... His friend Lucy has an office and he decided he needs one too. Kindergarten can be so busy. 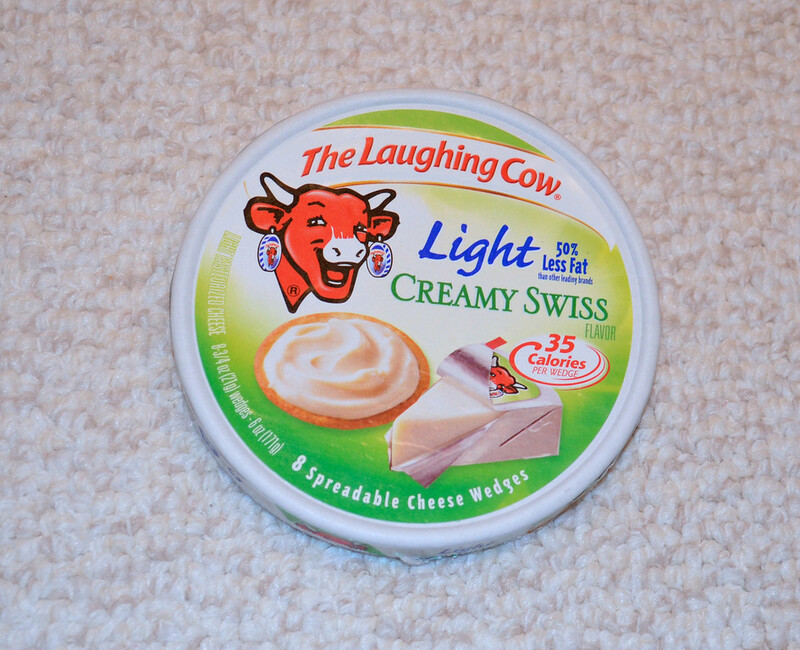 I make try to make this instead of buying a plastic one. Love your blog! Thank you so much for sharing your tutorials. 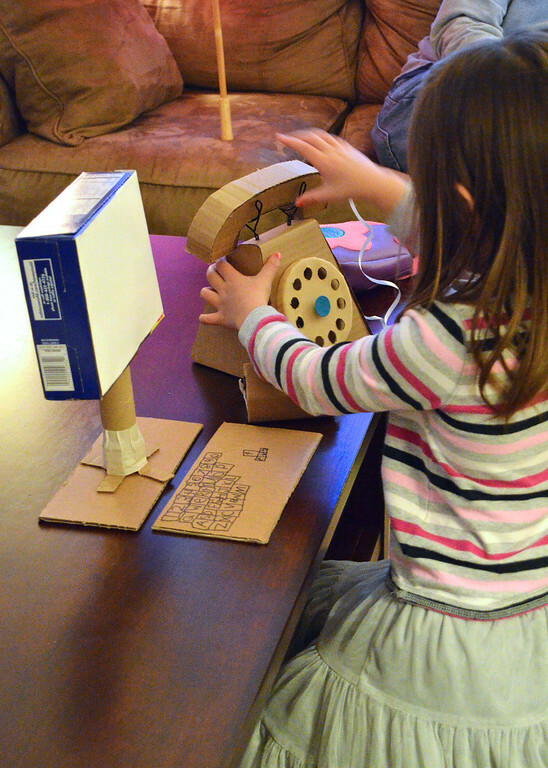 I have avoided by your cardboard projects, because I fear I might get hooked if I start and my sewing machine will get jealous... but I might get a little allowance to try this desktop computer and keyboard, on the excuse that my kids totally NEED one, since they aren't "connected" at the old age of 5 and 3! Thank you for the inspiration I always find in your blog! Yes! That is AWESOME! And can I add that I am so grateful that you share your wonderful creations - thank you! Yes, this is AWESOME! And I have to add that I am so grateful for your time in sharing your creations with us, thank you! I have bookmarked this one too. Bless you for all this creativity! This is a very great idea! And figures can learn and play, and fingers develop. Thank you! This is really neat! I am probably going to use this for a project! 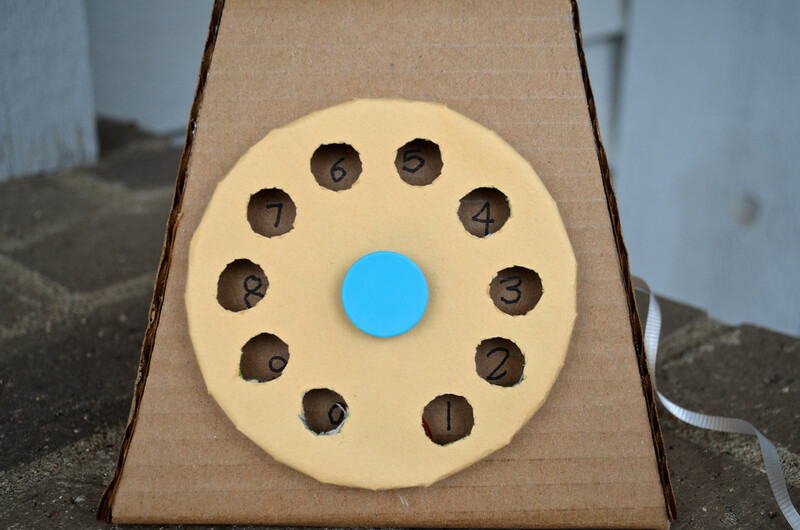 I thought I would never find anything on how to make a fake rotary phone! Thanks! You should make a youtube tutorial on it! I HAVE JUST MADE ONE! Looks awesome took me 3 hours though! No cheese lid (just moved) so had to make do and mend also had no selotape! Very happy and proud, though found string woke better than ribbon as the cable. Only 12 and made all by myself, thanks for sharing!!!! What kind of wire do I use? Anonymous: I used a stiff florists' wire. This one was coated black, but you can use any kind of stiff but malleable florists' wire - they can typically be found in craft stores.